The net neutrality debate reached a fever pitch last week when the D.C. Circuit heard oral arguments in Verizon v. FCC. Although many pundits have predicted what the appeals court will do, let’s search instead for an instructive lesson for reforming the FCC, something that policy wonks on all sides of the debate agree is necessary. For years, I have been peddling a “compromise” on net neutrality between the folks who want to level the playing field for websites (or “edge providers”) and the folks who want to turn down the lights at the FCC. Before explaining the idea, a quick backgrounder is in order: In December 2010, the FCC issued its Open Internet Order, which effectively proscribed certain practices by Internet service providers (ISPs), including selectively blocking traffic and contracting for priority delivery with websites. 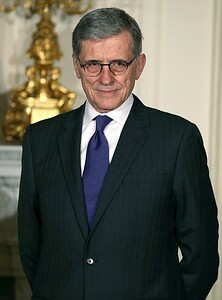 Rather than imposing an outright ban on “pay for priority” contracts, the FCC sternly warned ISPs that “as a general matter, it is unlikely that pay for priority would satisfy the ‘no unreasonable discrimination’ standard.” Put differently, such arrangements would presumptively violate the FCC’s new “non-discrimination” rule, and the burden would be on the ISP to reverse that presumption if it was ever foolish enough to try such a thing. Of course, these rules have nothing to do with discrimination in the classic sense—that is, treating someone or something differently on the basis of some exogenous attribute (such as age, race, or lack of affiliation). For example, under the FCC’s Open Internet Order, if Time Warner TWX +0.57% (an ISP) entered into a pay-for-priority arrangement with Sony SNE +0.89% (a website) to support a Sony online-gaming application, that contract would presumptively violate the FCC’s “non-discrimination” rules even if Time Warner stood ready to extend the same economic terms to all comers. Calling these rules the “zero-price rule” or the “no-economic-relation” rule would have been more accurate, but less politically appealing. Flash forward three years to last week’s hearing, and the FCC’s attorneys were arguing that pay for priority was tolerated under the order. Huh? Competition Law 360 ran an article appropriately titled “FCC Switches Gears In D.C. Circuit Net Neutrality Fight.” In response to the FCC’s surprise claim that ISPs were free to strike pay-for-priority deals, Judge Tatel exclaimed: “I thought the whole purpose of the rule was so edge providers would have free and unfettered access.” And Judge Silberman asked how an ISP could charge websites for priority but have no recourse if the website refused to pay. Setting aside the legal niceties raised by Verizon’s challenge, the best outcome for consumers would be a rule that permits ISPs to contract for priority delivery but polices such arrangements for discriminatory conduct (say in favor of an affiliated website) on a case-by-case basis. Under this ex post approach, priority arrangements would be presumptively legal, and the burden of overturning that presumption would fall on the complaining website. It bears noting that the FCC uses the exact framework to adjudicate discrimination complaints in the cable video space. Like any compromise, this solution would entail some sacrifice on both sides: Nascent websites would be forced to pay up if they wanted the same quality of service as their (paying) competitors, and ISPs would be prevented from playing favorites. It is hard to identify any “losers” in an economic sense, except perhaps those websites that preferred a free ride. The consumer benefits of this ex post approach would be enormous: Investments would likely pour into real-time applications such as telemedicine, distance learning, and interactive games, which could exploit the priority services. Users could enjoy these apps as they were originally intended. And ISPs could use the new revenues to extend or enhance their networks. Another benefit of this approach is that it appears to solve at least one of the FCC’s legal predicaments. Judge Tatel warned during his questions last week that the Open Internet Order’s “non-discrimination” rule did not afford “any room for negotiation” between ISPs and websites. And Judge Silberman said, “As a matter of law, this [non-discrimination] rule requires some level of access, which runs afoul of common carriage.” By permitting pay for priority contracts, the ex post approach would provide ISPs the very flexibility that is needed to get them out of this mess. So how can this grand compromise come about? The D.C. Circuit will likely vacate the “non-discrimination” portion of the order and send it back to the FCC. At that point, the FCC will have an opportunity to revise its rules along the lines of what I’ve described here. With any luck, the agency will recognize that the ex post approach is a template for much more than fixing its overreach in the Open Internet Order. Forsaking broad proscriptions in favor of regulatory tolerance toward new business relations combined with case-by-case review is the path forward in the new digital era. With InBev Suit, Feds Fight To Keep Beer Cheap For Young Blue-Collar Men. Maybe That’s Not A Good Idea. Last week, the Department of Justice sued to block the merger of Anheuser Busch InBEV (“ABI”) and Grupo Modelo (“Modelo”). The coming battle between the antitrust agency and the merging parties could raise several important issues for merger review, including the role of entrants (craft beer makers) and negative externalities (associated with consuming beer). ABI, the maker of Bud, Bud Light, and Busch, already owns 35 percent of Modelo; the DOJ’s lawsuit seeks to keep ABI’s share right there. For those who haven’t carefully studied the back of their Mexican beer bottles, Modelo is the maker of popular Mexican imports such as Corona Extra, Corona Light, and Pacifico. ABI’s “partial ownership” of Modelo is no small detail; it complicates the DOJ’s analysis relative to a garden-variety merger analysis. Writing in the Antitrust Law Journal, Salop and O’Brien explain that the “competitive effects of partial ownership depend critically on two separate and distinct elements: financial interest and corporate control.” Depending on those variables, partial mergers “can occur in ways that result in greater or lower harm to competition than a complete merger.” The implication of their finding is that a movement from a partial merger to a complete one could raise or lower prices. The DOJ’s complaint doesn’t tell us much about the nature of ABI’s existing control over Modelo, except for noting that ABI’s annual report claims that ABI does not have “effective control” over Modelo. Despite this disclaimer and despite the “firewalls” designed to prevent ABI members of Modelo’s board learning about pricing information, it is possible that ABI exerts some influence over Modelo’s decision-making. Setting aside the degree of ABI’s control over Modelo’s prices, economic theory predicts that ABI’s financial interest in Modelo could affect ABI’s prices. The question is whether a full transfer of ownership would really make things worse. The DOJ’s primary theory of harm is that the merger would facilitate coordinated pricing between ABI and MillerCoors, the second largest beer manufacturer in the United States. According to the complaint, ABI and MillerCoors have been forced to discount their prices to discourage consumers from “trading up” to Modelo brands; take away Modelo’s aggressive pricing and the industry leaders could better coordinate their price increases. Secondarily, the DOJ argues that the merger would permit ABI to unilaterally raise its prices without concern about customer defection to Modelo’s brands. One bone of contention between the dueling antitrust experts will be the likely role of “craft beers” or microbrews in the coming years. To the extent that craft beers play a larger role in the near future—one estimate suggests that craft beers currently account for six percent of all sales but are growing at 13 percent—then a merger of two “low-end” labels is not as important for consumers. According to the Brewers Association, there were 2,000 U.S. breweries in operation by the end of 2012, and there are another 1,000 in the planning stage; the expansion of microbreweries suggests a “shift in the palate” of U.S. beer consumers toward craft beers. With this backdrop, the combination of two low-end brands might not generate much pricing power. To be fair, ABI has some high-end labels, such as Stella Artois and Beck’s, and craft beers such as Goose Island and Shock Top. But these brands are drowned out in a sea of differentiated flavors, including popular brews such as Abita, Lagunitas, and Shiner. There is an exciting microbrew story in nearly every state—for example, you can’t visit the Blue Ridge region of Virginia without stopping at Devils’ Backbone (Roseland) or Blue Mountain Brewery (Afton). The DOJ’s discussion of the proposed “relevant product market” is good reading. Apparently, ABI’s Bud Light Lime-a-Rita sits within the “premium plus” category. Where I come from, serving a margarita in an aluminum can is blasphemy. The agency asserts that all segments of the beer industry—from the “sub-premium” segment to “high-end”—compete in the same product market: Query whether sub-premium beers or even the “premium” segment are not constrained by the price of water, the closest available substitute. Craft beers are mentioned in passing only. The key demographic for low-priced beer drinkers is blue-collar males in their 20s, who might shy away from the premium prices commanded by craft beers. Presumably, the DOJ’s lawsuit aims to protect these drinkers. Given the negative externalities associated with consuming alcohol, however, the movement to higher priced, heavier-tasting, craft beers that are not guzzled like Mad Dog might not be a bad thing. Which leads to one to wonder: Should the supply of beer be competitive or should we tolerate a little market power along with reduced levels of consumption? If the DOJ has its way and blocks this merger—and if the agency is right about the likely price effects—then we will get more alcohol consumption relative to a world in which ABI owns 100 percent of Modelo. Be careful what you wish for. In light of recent stories hinting that the Federal Trade Commission (FTC) will not pursue antitrust claims that Google discriminates in its search results, advocates for rival websites are sounding the alarms. One attorney who represents several websites that have complained about Google’s alleged favoritism in search decried: “If a settlement were to be proposed that didn’t include search, the institutional integrity of the FTC would be at issue.” Ironically, the opposite is true: By reportedly dropping search discrimination from its case, the FTC has bolstered its integrity. This is not to say that discrimination against rival websites is a good thing. Rather, discrimination of the kind allegedly practiced by Google is generally not recognized as an antitrust violation. With the exception of extreme cases, such as when a monopolist refuses to sell a product or service to a competitor that it makes available to others for discriminatory reasons, a firm does not expose itself to antitrust liability by merely refusing to deal with a competitor. (By contrast, a firm may expose itself to antitrust liability by refusing to deal with customers or suppliers so long as they deal with the firm’s rival.) Because Google is not refusing to sell a product or service to a rival website that it makes available to others, but instead places its specialized search results—such as maps, image, shopping or local results—at the top of the page when it believes they will be useful to consumers, Google arguably has no “duty to deal” under the antitrust laws. To make a discrimination square peg fit into an antitrust round hole, the FTC would have needed to invoke an unorthodox section of the FTC Act (Section 5), thereby stretching the agency’s authority. By recognizing the incongruence between the conduct that the antitrust laws are meant to stop and the consumer-centric justifications for Google’s behavior, the FTC appears to have spared itself a tough slog. For example, one element of a duty-to-deal claim under the Sherman Act is proving that Google’s treatment of rival websites harms consumers; even the cleverest economist would be stumped with that assignment. Google’s rivals are now seeking a do-over at the Justice Department (DOJ). They analogize the Google case to the FTC’s Microsoft investigation, where the DOJ picked up that case shortly after the FTC commissioners deadlocked in 1993. But the FTC does not appear to be deadlocked here; the agency is likely rejecting the Google case because the antitrust law does not support the complainants’ arguments. This explains why, for example, the NFL Network brought a discrimination cases against Comcast—a vertically integrated cable operator that owns a national sports network—under the Cable Act and not under the Sherman Act. Had the NFL Network pursued its discrimination claims in an antitrust court, it likely would have failed. By styling its case as a program-carriage complaint, however, the NFL Network took advantage of cognizable harms under the Cable Act such as preserving independent voices that, for better or worse, are not appreciated by the antitrust laws. If independent websites such as Nextag want relief, then they should lobby Congress to write the analogous non-discrimination provisions covering search engines. Once an agency is designated with the authority to police Google and other vertically integrated search engines (Bing included), website rivals could pursue individual discrimination claims just like the NFL. Importantly, website rivals would have to fund these battles, not with taxpayer money (of which millions were likely spent by the FTC in its antitrust investigation of Google), but with their own resources. Self-funding ensures that only the strongest discrimination cases would come forward; when someone else is footing the bill, all bets are off. Admittedly, the relief contemplated here would not come quickly. It took years for independent cable networks to convince Congress of their plight. 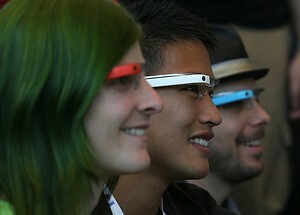 But the impatience of Google’s rivals is no reason for the FTC to bend the antitrust laws. Better to keep the powder dry—and the FTC’s integrity intact—and go after a monopolist that is more blatantly violating the antitrust laws on another day.